Unlike today's safe and secure structure the original bridge had only one handrail and wooden slats 12 inches apart to walk over on, it was used by fishermen who worked the salmon nets just off the island, their cottage can still be seen on the island (photo right). The salmon where then taken from here up to the high road and stored in a ice house before shipment to the markets. 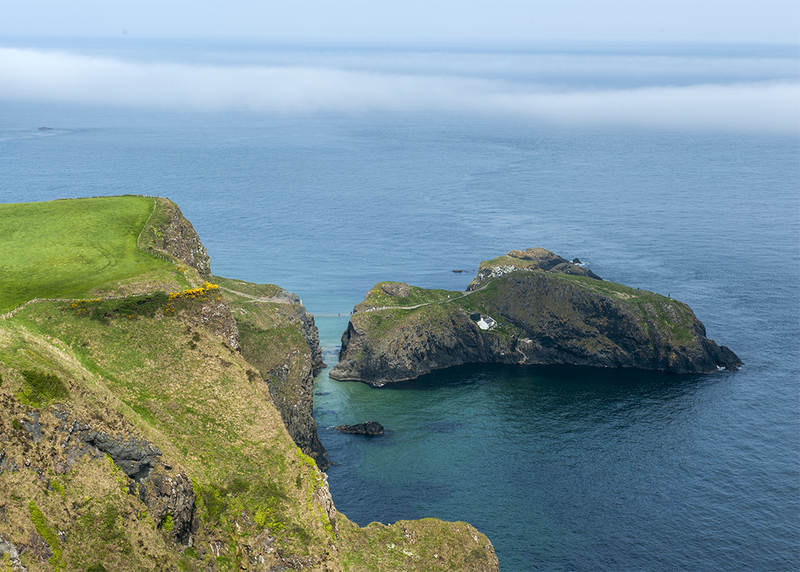 Today the rope bridge is purely for visitors, salmon fishing around the coast has long since ceased due to restrictions and depleting stocks in the the North Atlantic. Carrick a Rede is a great natural location to visit and experience, the area around the main reception is part of what was an industrial quarry which shipped lmestone and sett stones from the harbour at Ballintoy.